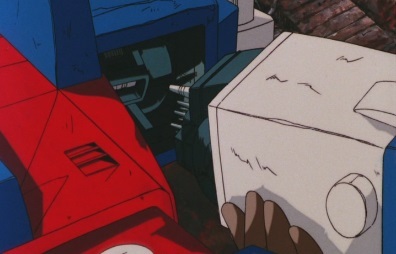 The Junkions gather together Ultra Magnus, putting his body back together and bringing him back to life. 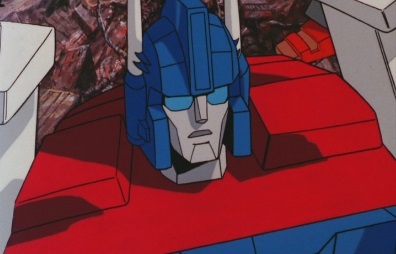 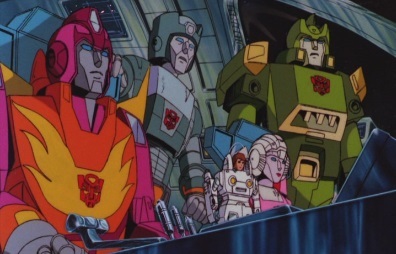 Ultra Magnus meets with the other Autobots, and is glad to see that they are all alive, but when Hot Rod asks about the Matrix, he reveals that it is gone. 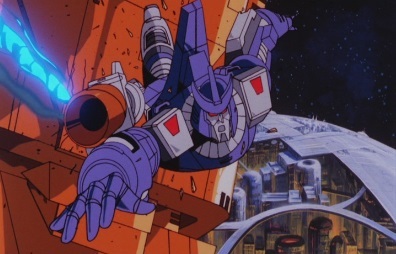 Galvatron has it. 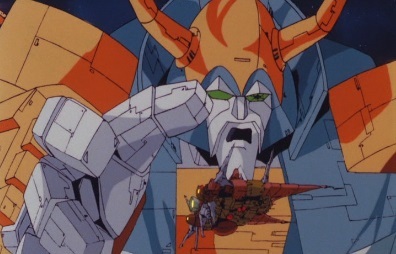 Hot Rod wants to know where Galvatron is, and Wreck-Gar knows: he went to Unicron. 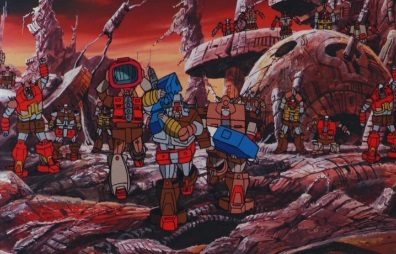 Hot Rod says they must destroy Unicron, and Wreck-Gar decides that he and the Junkions will help. 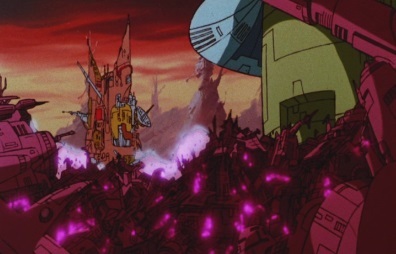 He reveals a ship hidden beneath a large pile of junk, and he, some Junkions and some of the Autobots board it. 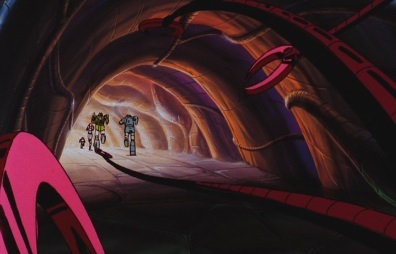 The other Autobots board the Quintesson ship, and soon both ships leave the Planet of Junk. 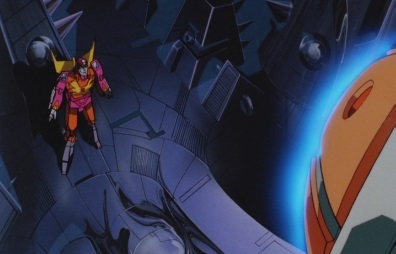 Meanwhile, Unicron watches as Galvatron returns, and has the Matrix with him. 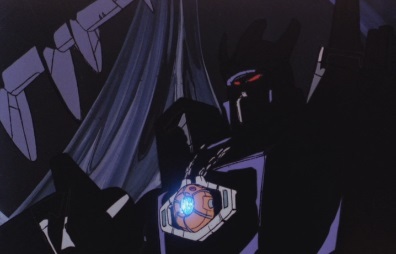 However, Galvatron says he now has that of which Unicron most fears. 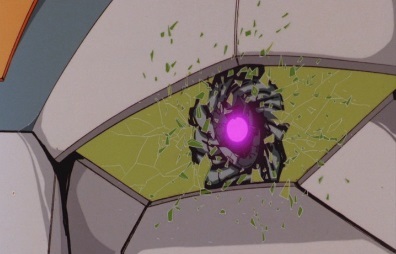 He'll do his bidding, or taste his wrath. 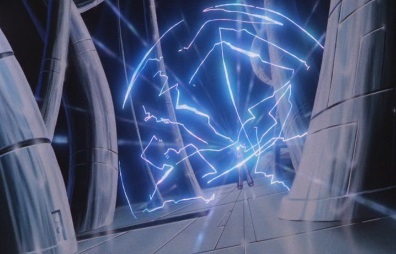 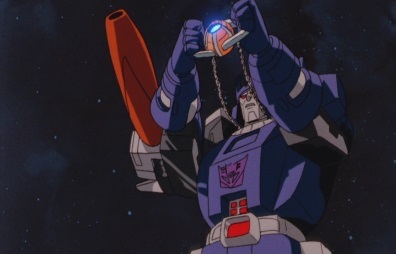 Galvatron tries to make the Matrix do something, but he can't get it to open. 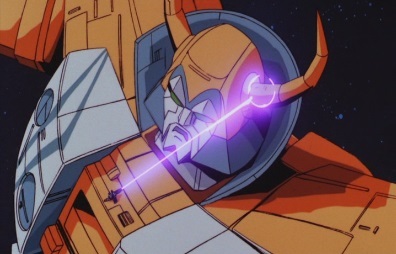 Unicron tells Galvatron that he has underestimated him. 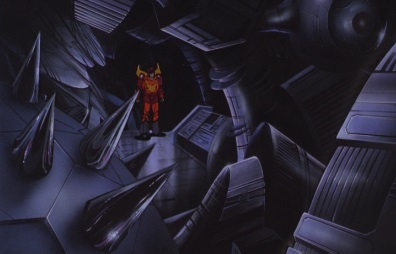 Suddenly Unicron begins to shake, as Galvatron watches various parts of Unicron change before his eyes. 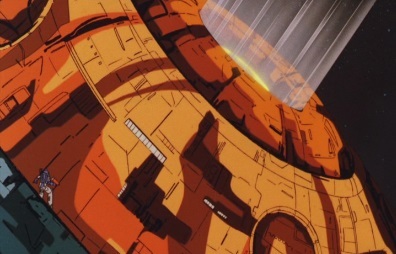 Unicron is transforming. 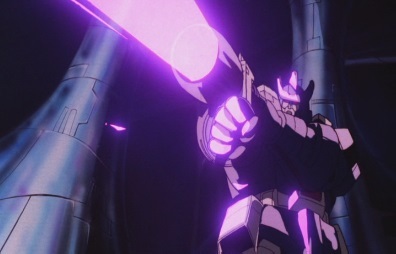 ...and starts his attack. 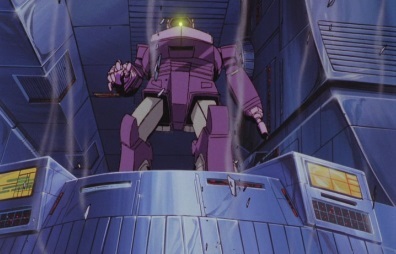 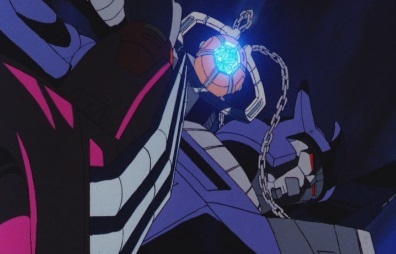 Shockwave tells the Decepticons on the planet that they are under attack, and has all of his forces scramble. 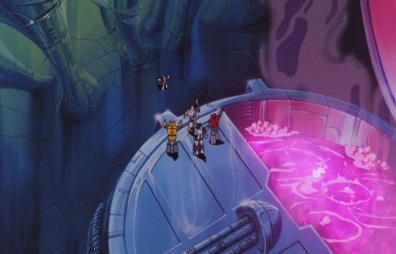 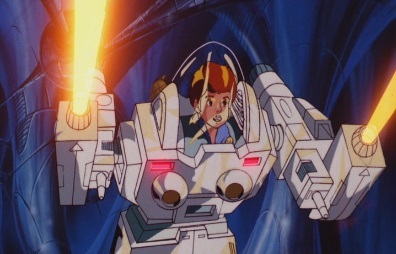 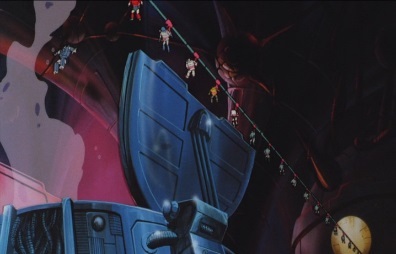 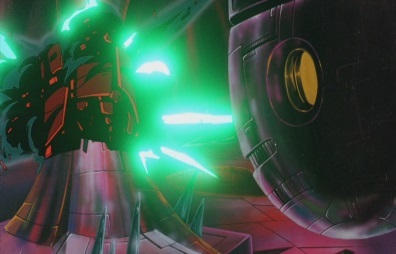 The Decepticons start firing back at Unicron, but nothing they do seems to be able to hurt him. 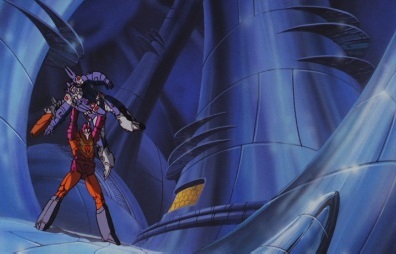 Galvatron transforms and starts shooting Unicron in the face, so Unicron grabs him and consumes him just as the two Autobot ships arrive. 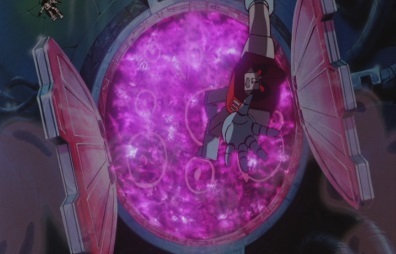 Galvatron falls down inside Unicron. 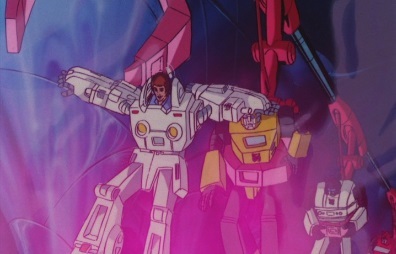 As the Autobots see what is going on, Hot Rod asks Kup if this reminds him of anything, but even he hasn't seen anything like this before, Unicron sees the two ships heading towards them, and blasts blue flames at the Junkion cruiser. 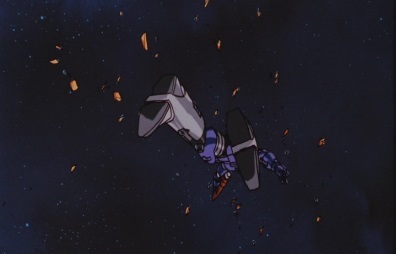 But the ship easily survives. 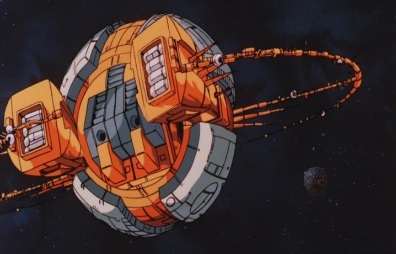 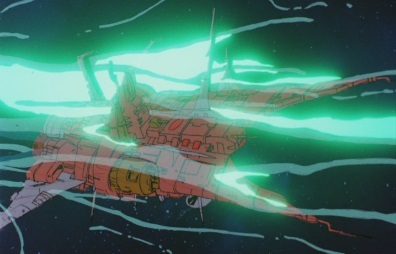 ...and sends the ship straight through one of Unicron's eyes. 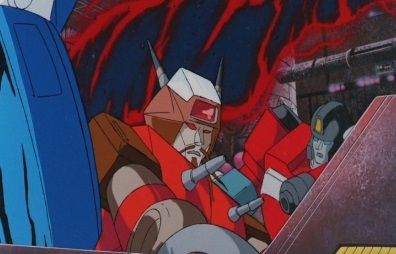 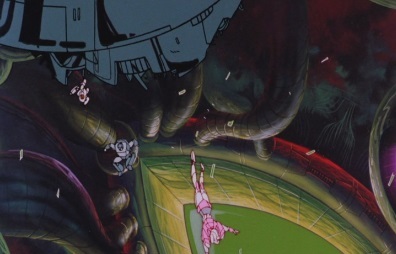 The Autobots spill out of the ship, but as they recover, Daniel realises Hot Rod is missing. 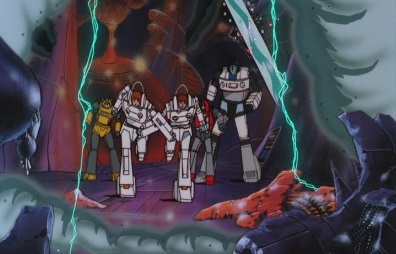 The group don't have time to look for him though, as they have to run away from many claws that go after them. 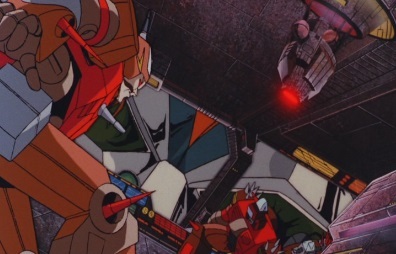 Hot Rod has ended up falling into a different place than everyone else, and as he takes a look around, he sees the Matrix, which Galvatron still has. 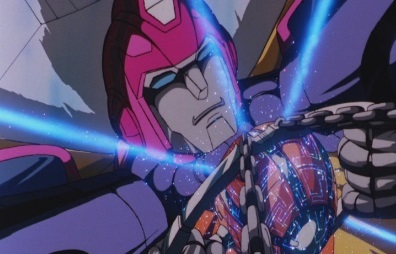 But Galvatron tells him the Matrix will do him no good, as it cannot be opened. 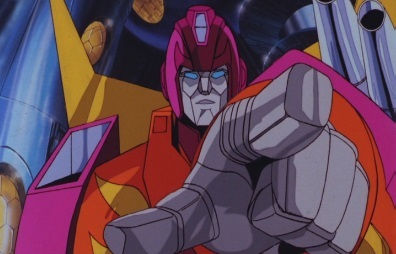 Hot Rod says it could never be opened by a Decepticon. 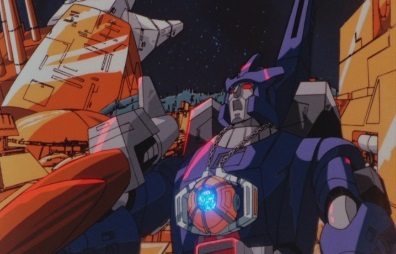 Galvatron tells him that, like it or not, they are allies now, against a common foe. 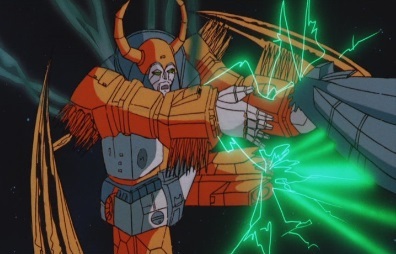 But Unicron then tortures Galvatron, telling him to destroy the Autobot now, otherwise he will be obliterated. 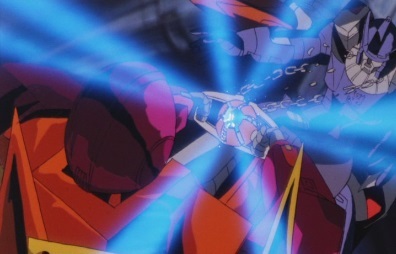 Galvatron instantly obeys his master, firing on Hot Rod. 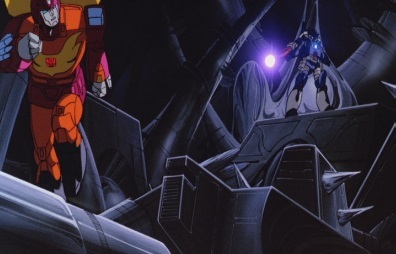 Hot Rod retreats, as Galvatron tells him lacks even Prime's courage. 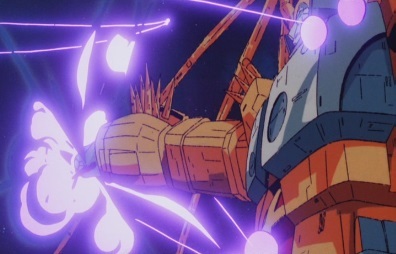 Outside, the battle between Unicron and the Transformers continues. 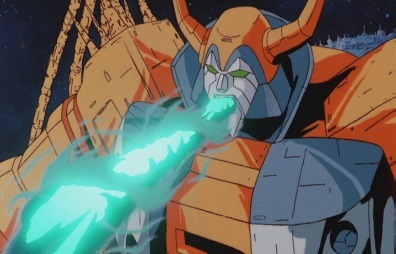 Unicron starts firing lasers out of his other eye, but the Dinobots avoid them and attack his back. 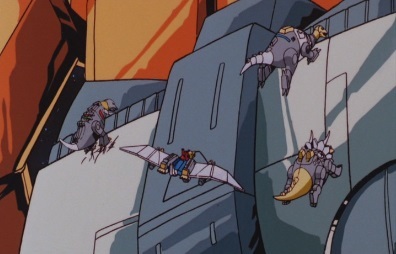 Grimlock stomps on him whilst the other Dinobots also cause some damage. 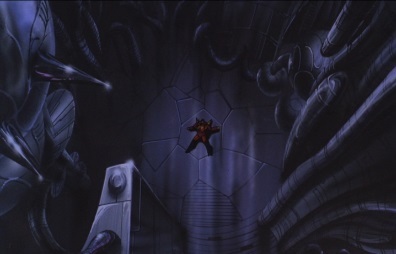 ...Daniel falls over and the claws surround him. 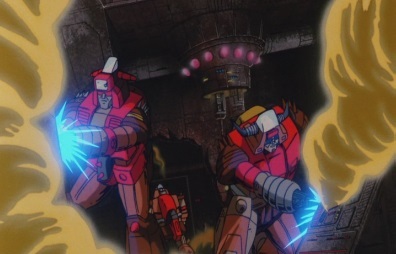 The Autobots start shooting them apart, but one of Arcee's shots hits the wall, causing it to open up and release water everywhere. 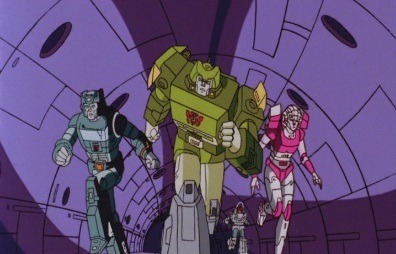 The Autobots are all swept away. 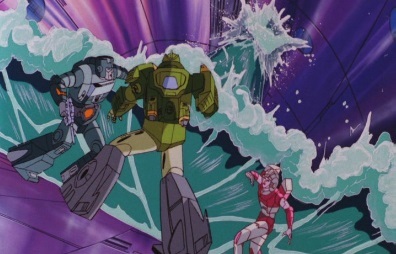 Daniel climbs out of the water, and hears some screaming nearby. 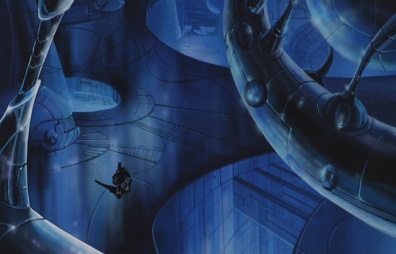 He sees a smelting pool, which several captured robots are being dropped into. 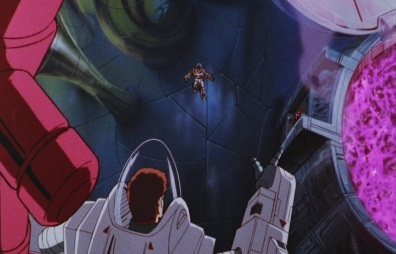 He also sees his Dad about to be dropped into it! 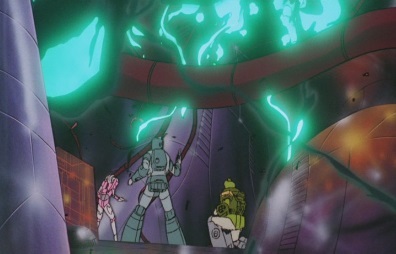 Spike tells Daniel to knock down the acid cover by using his exo-suit. 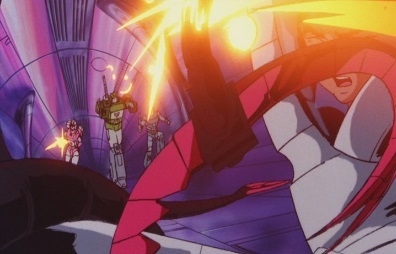 Daniel starts pushing buttons, and uses the blasters in the exo-suits arms to make part of the cover close. 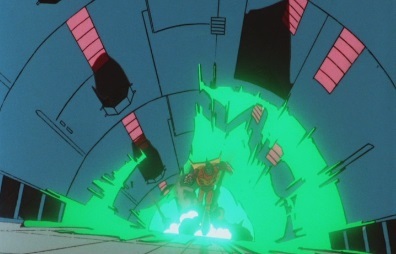 The cover closes just in time, as Spike and the other Autobots drop safely onto it. 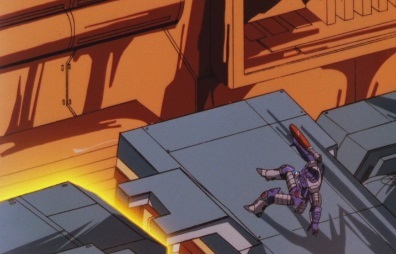 Elsewhere, Galvatron continues his search for Hot Rod. 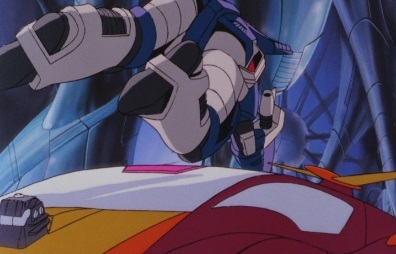 Hot Rod surprises Galvatron with an attack from behind, punching him down. 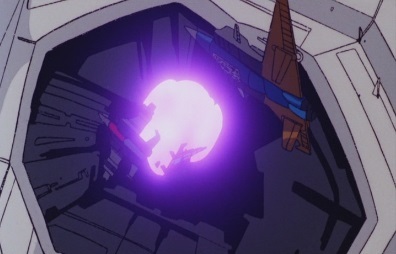 He then transforms and runs Galvatron over. 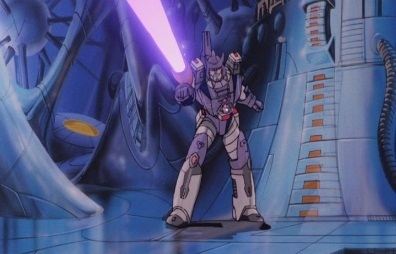 Galvatron gets back up and fires back at Hot Rod. 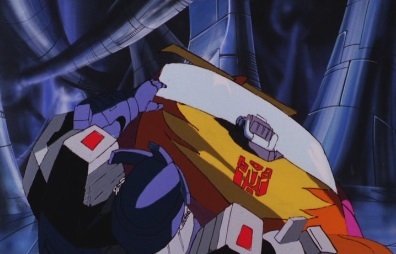 Hot Rod charges again, crashing into Galvatron, but this time Galvatron grabs onto him and flips him over. 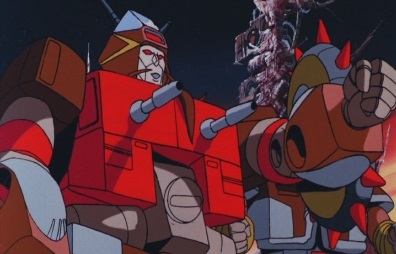 Hot Rod is forced to transform back to his robot mode, and as he does, Galvatron grabs his neck and tries to tear his head off. 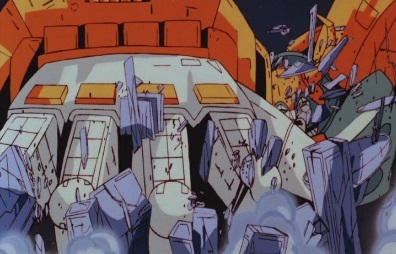 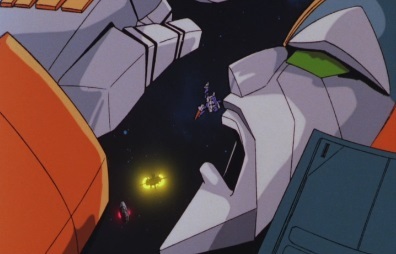 Outside, the Junkion ship fires, but Unicron grabs and then crushes it. 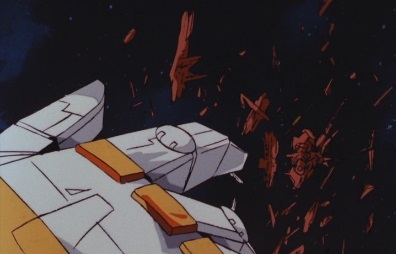 He then throws the badly damaged cruiser away from him. 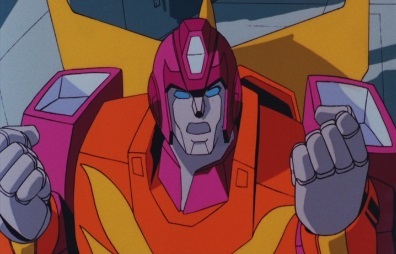 First Prime, then Ultra Magnus, and now Hot Rod. 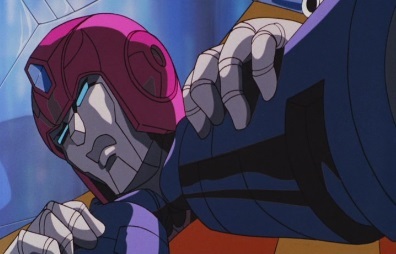 Galvatron tells Hot Rod that if Autobots didn't die so easily, maybe he'd have a sense of satisfaction by now. 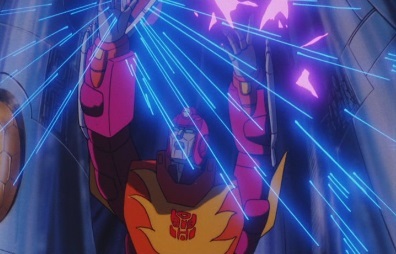 With nothing left to lose, Hot Rod manages to grab onto the Matrix -and when he does, it begins to shine brightly. 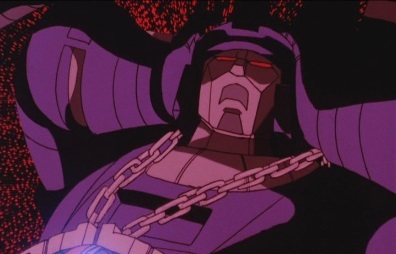 He kicks Galvatron off him, and the chain on the Matrix breaks. 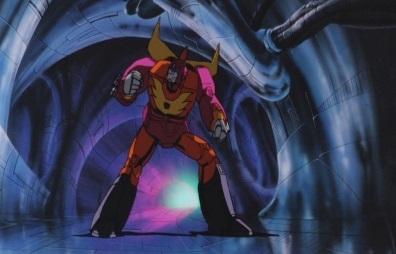 Hot Rod hears a voice call out to him, as Optimus Prime tells Rodimus Prime to arise! 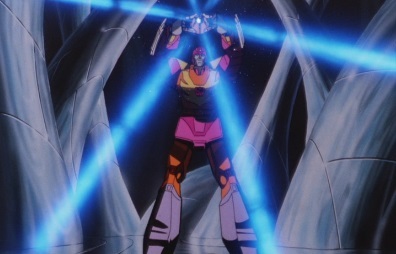 The Matrix has changed him into Rodimus Prime. 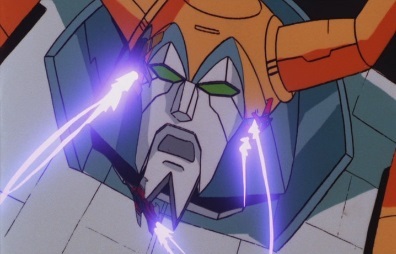 Galvatron can't believe it and starts firing, making Rodimus Prime drop the Matrix. 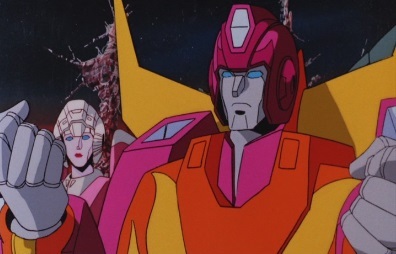 Rodimus tells Galvatron that this is the end of the road. 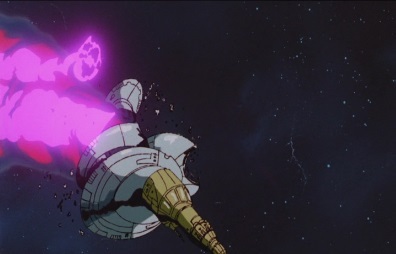 He picks Galvatron up and throws him straight at one of Unicron's walls, which he crashes through and flies uncontrollably through space. 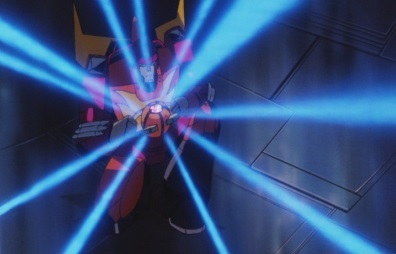 Rodimus picks the Matrix back up, and says that now, it must light their darkest hour. 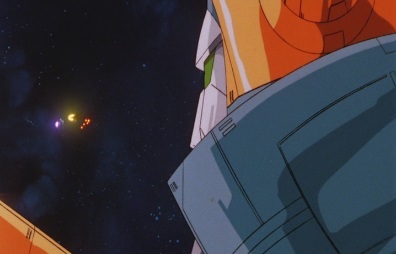 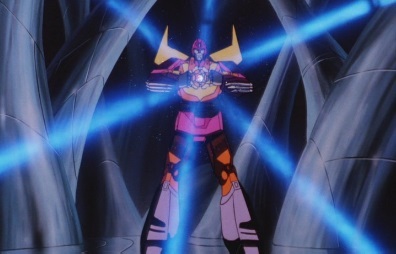 He successfully opens the Matrix, which emits a strong, shining light around Rodimus and throughout Unicron. 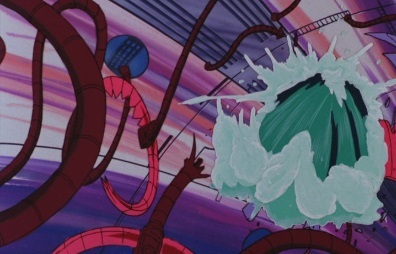 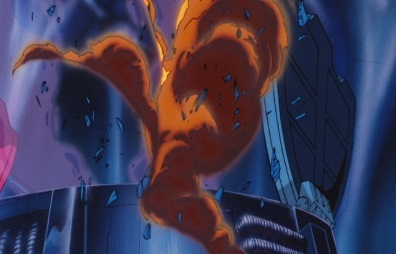 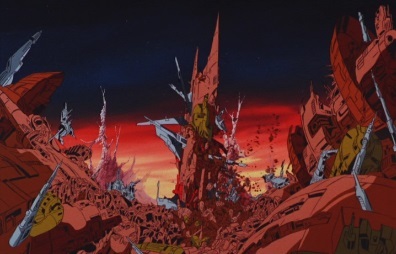 The power of the Matrix begins to destroy Unicron, by simply blowing up everything inside him. 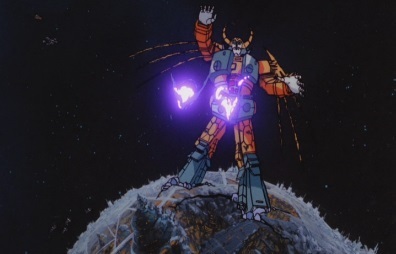 Unicron himself can only watch as his own body begins to malfunction and explode. 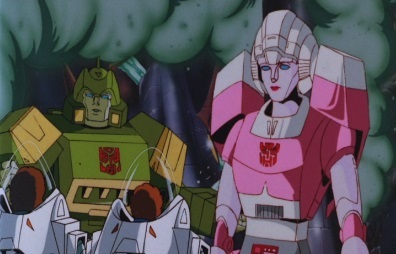 Springer, Kup and Arcee are still fighting the claws when they realise something has happened, as everything starts to explode. 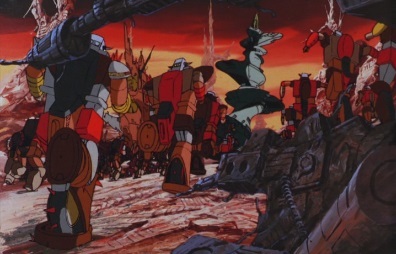 Spike, Daniel and the other Autobots then run towards them, as Spike asks Springer what's going on. 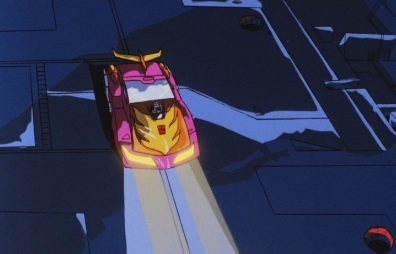 Springer says there's no time to answer that now, but they then see Rodimus Prime running towards them. 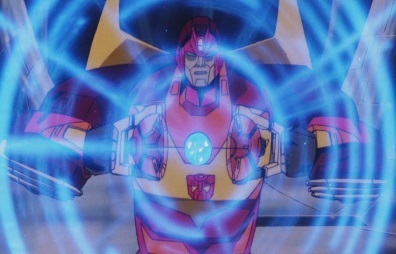 Rodimus tells the Autobots to transform and roll out. 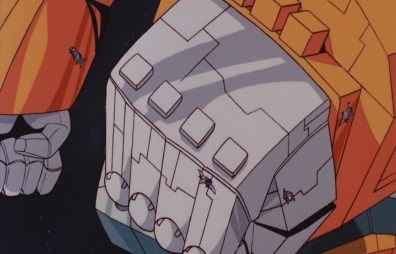 He transforms to his new truck mode, and Daniel and Spike climb inside him. 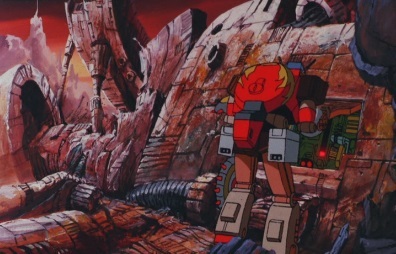 The Autobots then leave Unicron, by smashing through his other eye. 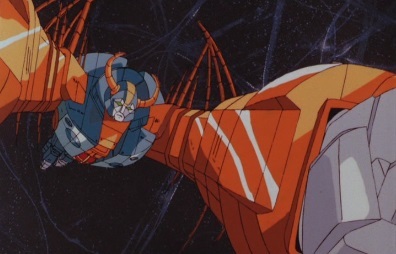 Unicron says that they cannot destroy his destiny, but he spins away from Cybertron, and his head then detaches. 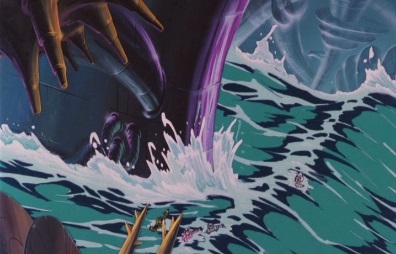 Seconds later, Unicron's body explodes. 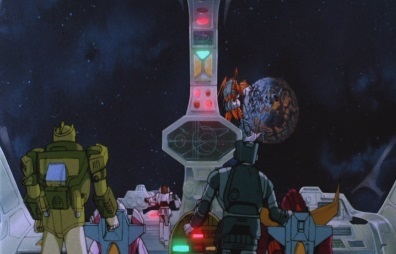 Later on, the Autobots have landed on Cybertron, as Rodimus Prime says that this will mark the end of the Cybertronian wars, as they march forward to a new age of peace and happiness. 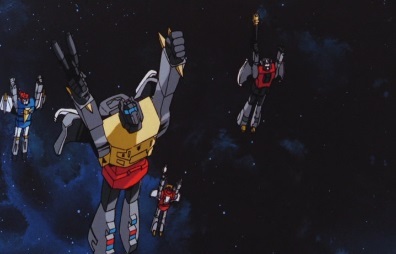 'Till all are one! 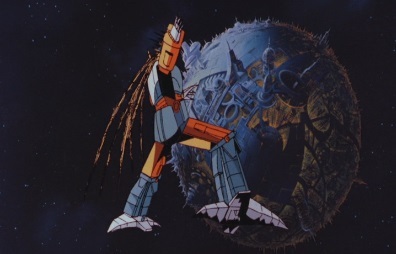 As the other Autobots repeat the last part of their new leader's speech, Cybertron has gained a new moon: Unicron's head.